Get the latest info on top mattress brands! What Is the Best Temperature for Sleeping? When shopping for a new bed, it’s important to take into consideration your sleep style and mattress preferences when choosing the appropriate firmness. For example, back and stomach sleepers tend to do well on a firmer mattress because it provides the proper support to relieve pressure points and maintain the spine’s natural curvature. Softer mattresses, on the other hand, are better suited for side sleepers because they allow the hips and shoulders to sink into the mattress, relieving tension. In this guide, we’ll talk about the benefits of buying a firm bed as well as how to go about finding the best firm mattress for yourself. Who Benefits From a Firm Bed? When you’re searching and reading mattress reviews for a new firm mattress, some brands stand out amongst the crowd. High-quality foam and springs are often dependable signals of a better night’s sleep. Below, we’ve outlined five mattresses that genuinely deliver. Amerisleep carries five different mattresses, the AS1 through the AS5— each range in firmness and are designed for specific types of sleepers. Though the AS1 is their firmest bed, we recommend opting for their Amerisleep AS2 because it contains a layer of zoned support the AS1 does not. To provide zoned support, Amerisleep uses HIVE® technology. By spacing hexagonally shaped cutouts into five comfort zones, HIVE® provides support where your body needs it, including your head, shoulders, back, hips, and feet. A recent clinical study found that HIVE® technology reduces pressure points by 49%. 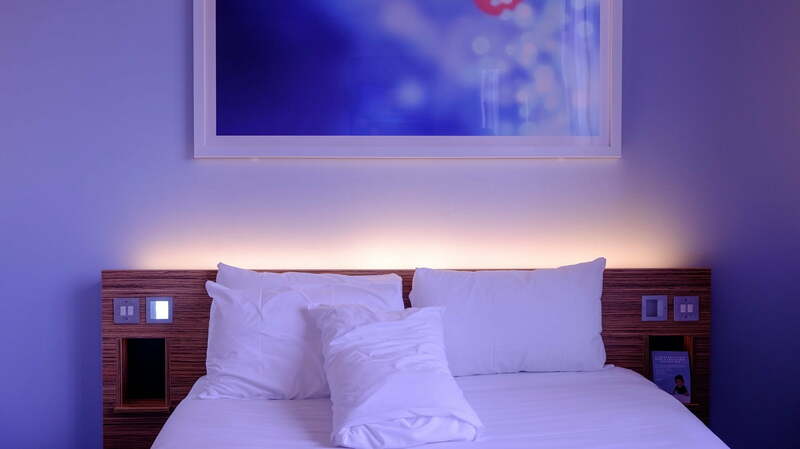 Unlike other very firm mattresses, Amerisleep uses three different foam layers in their beds rather than other materials such as metal coils or springs. The top layer of their bed, their breathable Bio-Pur® foam, should contour to your body while relieving pressure points. The layer below, integrated with HIVE®, offers targeted support and pressure relief. Lastly, their firm Bio-Core® foam offers structural and edge support for the bed, preventing sags and indentations. 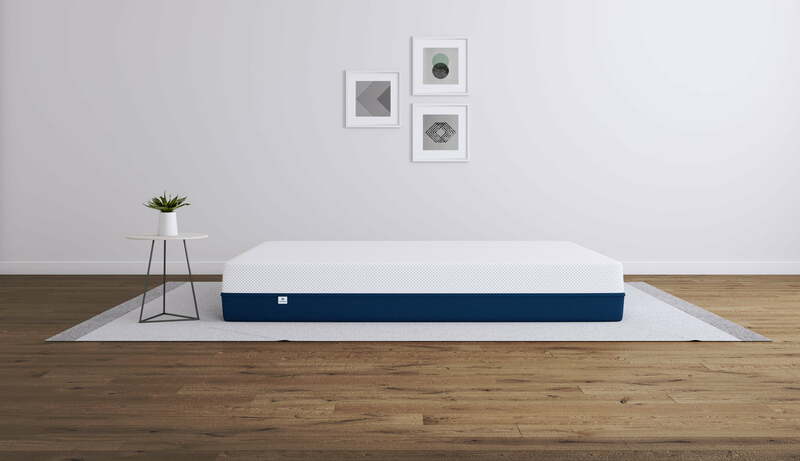 Maybe because Amerisleep designs their beds for types of sleepers and uses innovative sleep technology to promote restful and restorative sleep, their AS2 was also named Business Insider’s Best Mattress for Back Pain. The Avocado brand prides itself on its eco-friendly business model. Their bed, the Avocado Green mattress, is all-natural, non-toxic, and eco-conscious. For those shopping for a “green” bed, the Avocado Green is right up your alley. The Avocado mattress is made with 100% natural Dunlop latex, organic wool, organic cotton, and a pocketed coil system. Latex has a springier and responsive feel— so how memory foam offers a more cradling feel, latex provides a more “lifting” feel. Meaning, you should not feel as if you’re sinking into this mattress. On their website, Avocado ranks their bed as a 7 out of 10 in regards to firmness, so it should feel pretty solid. 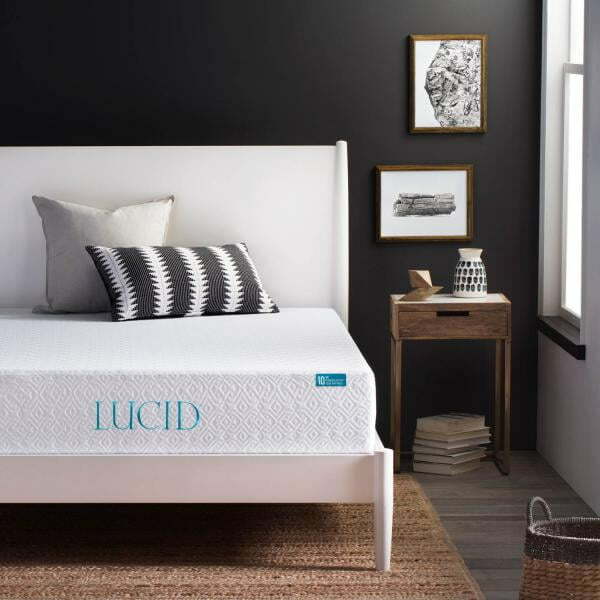 The pocketed coil system in the mattress offers targeted support the latex does not, and because the coils are pocketed, they should not transfer too much motion. 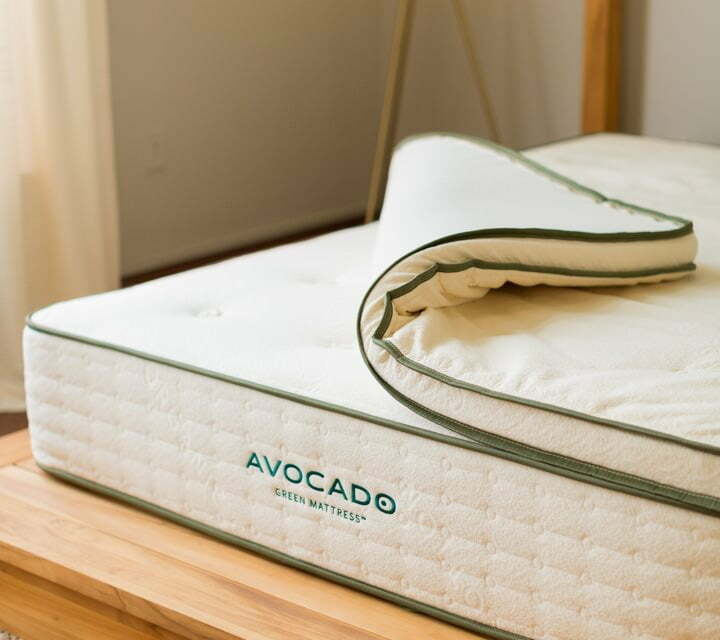 After you buy your mattress, Avocado offers a 100-day trial period and a 10-year warranty. Their Green bed contains several layers of firm latex complimented by a three-zone pocketed coil system, providing the hardness of true innerspring mattresses that firm mattress lovers seek out. Serta Simmons Bedding is a long-trusted name in the mattress industry. Founded in 1931, Serta is known for selling high-quality mattresses. Though Serta carries a vast variety of beds, we are going to focus on their iComfort Blue Memory Foam mattress. Their iComfort beds come in a range of firmness levels, from Elite Plush to Firm. Their firm model is designed to feel extra-firm, and it is integrated with many cooling technologies, so you should not wake up hot on their memory foam bed. Overall, there are four layers in this mattress. 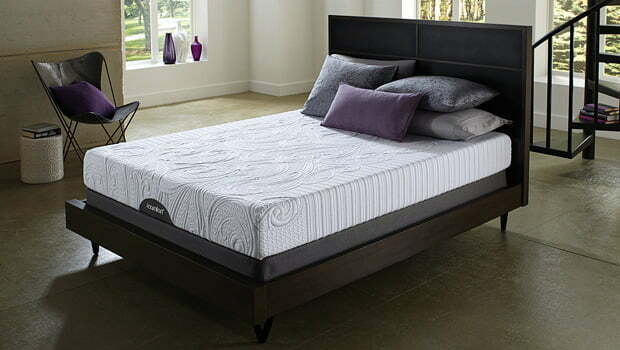 The top layer of the iComfort is TempActiv™ gel memory foam, invented to dissipate heat out of the bed. Next, is a layer of Evercool® Fuze memory foam, also created to reduce heat in the bed. The third layer of this bed is their Deep Reaction™ memory foam— by including a third layer of memory foam, this bed allows your body’s pressure points to sink in, relieving tension. The fourth and final layer of this bed is a dense Serta® Support Core; this layer is made from high-density poly-foam to support the layers and sleeper above. Casper carries three mattresses— the Casper, the Essential, and the Wave. Known for their fun and catchy ads, Casper is one of the most well-known new mattress brands. 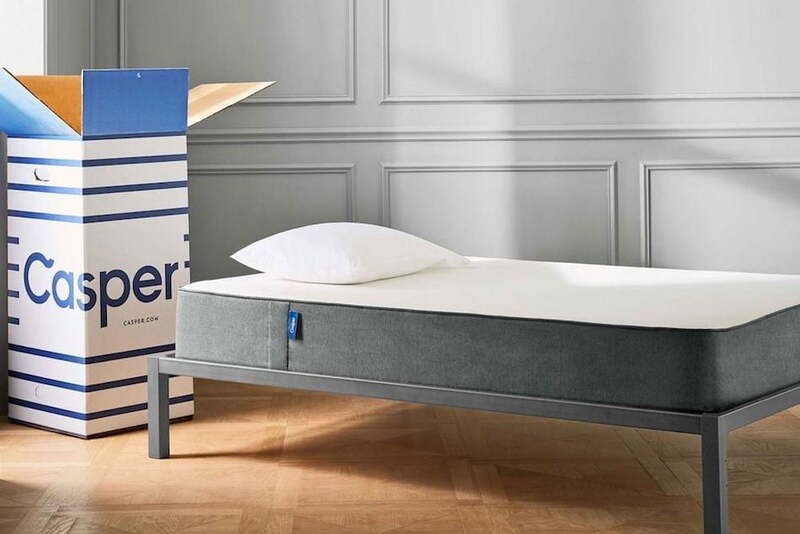 At first, Casper only sold their flagship model, but after the success of their first bed, they expanded. Now, they sell two other beds, the budget-friendly Essential and the luxurious Wave. If you’re looking for firm, we recommend choosing the Essential. The Essential has three layers, all the “essentials” you need from a bed— a comfort layer, support layer, and a strong core. The top layer of their bed is soft poly-foam, which will allow your body to sink in just a bit to relieve pressure and tension. Below, is a responsive foam layer which will suspend your body and prevent you from sinking too far into this bed. Last, is high-density poly-foam in place to provide support for the entire mattress. On the Lucid website, you have the option to shop by firmness. Upon choosing firm options, you’ll find they sell two different memory foam mattresses, both firm. The only difference between these two beds are their height; one mattress is 6 inches tall while the other is 5 inches. For optimal comfort, we recommend choosing the 6-inch memory foam model. The Lucid mattress has a simple design, containing only two layers. The top layer of the 6-inch bed is 2 inches of ventilated gel-infused memory foam. By integrating cooling gel and pin-holing their foam, they reduce the chance of their bed trapping heat. The 5-inch model contains only 1 inch of this ventilated gel-infused memory foam. Next, is the layer of high-density core foam. In both models, this layer is 4 inches tall. Overall, this mattress is quite thin so it should feel firm. The firmness of a mattress is typically rated on a scale of 1 to 10, with 1 being the softest and 10 being the firmest. 1, Soft: These mattresses contain extra padding and are made from softer materials. People feel like they are “sinking in” when lying on them. 2 and 3, Medium Soft: Medium soft mattresses allow you to sink into the bed just a little bit, but contain firmer support layers to hold you up higher in the bed. 7 through 9, Firm: These mattresses are less likely to feel soft, and the tops should be more responsive when you push into them or lay on top of them. They support the body but do not allow sinking. 10, Extremely Firm/Hard: There is no plushness or sinking sensation to these mattresses, and they usually do not let any of the body’s natural curves to sink in. Who Benefits From a Firm Mattress? Do you sleep on your back or stomach? Because firm mattresses support the S-curve in the back, people who sleep on that curve – either on their backs or stomachs – benefit from a bed that can reinforce the natural curvature. However, if you sleep on your back but you can put a hand between the lumbar spinal curve and the mattress, you may not benefit from such a hard sleep surface. Often, a medium-firm mattress is considered the best mattress for back pain. Do you have a high body mass index (BMI)? If you have a higher BMI, you may experience poor sleep on a softer mattress because the bed can create a hammock, or sinking-in, sensation around your body. Even if you can tolerate sleeping on an uncomfortable mattress, too much “sink” in your mattress can cause respiration or circulation issues, leading to discomfort. A firmer or hard mattress offsets that sinking quality, allowing the lungs to expand and reducing the likelihood that circulation will be blocked in the limbs. Do you have a higher body temperature at night? Softer mattresses tend to envelop you at night, which can cause you to overheat or wake up hot. That said, firm mattresses may keep you cool at night. Because they typically allow for greater airflow and less “sink,” you have a decreased chance of sleeping hot on firm mattresses. If you’re prone to waking up hot, consider a firm bed. Do you have circulation concerns? Firmer mattresses allow for freer body movement while you sleep than softer mattresses do, which improves circulation. Softer mattresses may hug against your body, so you have less room to move or adjust in the night. A lack of movement can lead to circulation problems, muscle cramps, minor aches and pains, and, potentially, some blood flow issues that may get worse over time. Do you suffer from back pain? To demonstrate how well a firm mattress can alleviate back pain, some have studied the benefits of sleeping on the floor. Because firmer surfaces do not ensconce you and restrict your movement throughout the night, you are less likely to suffer aches and pains due to blood flow issues upon waking. A hard mattress also empowers you to strengthen small muscles by gently massaging their pressure points overnight, in a process called dynamic rest. Do you have arthritis? People who have arthritis may benefit from a firm mattress, especially one with an upholstered top or additional foam layer, which can allow the spine to rest in a neutral position. The firmer mattress also permits the body to spread out, allowing the joints more freedom of movement. In the morning, this helps your joints feel less cramped or gelled up. If you are switching from a soft or a medium mattress to a firm mattress, you might expect immediate improvements to your mental and physical health. However, much like going to the gym, you can’t expect overnight results. Because your body is being supported differently than what it’s used to on this new bed, you may experience a few aches and pains upon initially sleeping on it. Give your mattress enough time for your body to adjust. If you do need a hard or firm mattress, your body will thank you with deeper sleep and fewer aches and pains. When buying both online and in-store, many brands offer a sleep trial with their bed. During the sleep trial, you have the opportunity to try the new mattress in your home for a couple of weeks, even months, before deciding whether or not it’s the best mattress for you. If you do decide against keeping the bed, many brands offer free returns. By choosing a bed that comes with a sleep trial, you’re giving yourself the opportunity to truly test the bed before committing. Sleep trials also take some of the worry and uncertainty out of buying online. No matter which bed is the best for your own sleep needs, a good night’s sleep is key to lower blood pressure, less stress, better immunity, improved memory, clearer thinking, and less irritation. A firm mattress allows you to breathe better during the night, can encourage a healthy spine, and prevents the tossing and turning that negatively affects sleep quality. Finding the right mattress may take some time, but a good night’s sleep is worth the effort for years to come. Notes and Queries: How Many Days Does the Average Person Sleep for During Their Lifetime? The Guardian. Effects of an Adapted Mattress in Musculoskeletal Pain and Sleep Quality in Institutionalized Elders. (November 2015). Sleep Science. 7 Mattress Myths Debunked. (January 23, 2018). Restonic. The Best Firm Mattress. The Sleep Help Institute. The Best Mattress for a Better Night’s Sleep. (2012). WebMD. Selecting an Arthritis-Friendly Mattress. (October 2005). Cleveland Clinic, Arthritis-Advisor.com. I Tried Sleeping on a Hard Floor for a Week. (May 31, 2017). Men’s Health Magazine. Firm vs. Soft Mattresses – Pros and Cons. (October 31, 2017). Sleepopolis. Best Mattress Reviews 2018: The Top 10 and Worst 10 Beds. Sleep Junkie. Best Firm Mattress Reviews 2018. The Sleep Judge. Best Firm Mattresses from Top Online Brands. (February 5, 2018). Forbes. Want the gift of better sleep?